Whatever the reason Rodriguez presently is a famed artist and has some of the most loyal and varied fans out there. In marketing terms he has unwittingly created a strong, mysterious brand image and a legacy far beyond his years, Rodriguez is NOT A FAD. Although reasons for this may be hard to pin he remains a remarkable case study for marketers, marketing through non-marketing. Read more at Rodriguez… A Man on Fire | Maties Marketing244. It is not a mystery. It is his voice and interpretation of songs, the meaningful lyrics and the beautiful music. His lyrics are timeless. And he enuciates. the words. I can’t understand most of the singers. What good is a song if you can’t understand the words? Just make it an instrumental. I agree with JoAnn…perfect enunciation…classic lyrics (still appropriate 40 years later) and cool funky-jazzy music, a great mix. He appears to be a spiritual, moral man of deep thought and conviction, humble, self contained, and wise, (he reminds me of my late husband)…a poet, a politician, a profit, at peace, who has chosen to march to a different drummer. I feel certain that his ‘fame’ will change none of this. Someday I hope to see him perform live and oh yeah, to met up with him on the street and be able to say, “Hi. Hey man, you’re cool and I get it”. We knew of Rodiguez – this was the sound track of our youth – in Rhodesia as it was back in the 70’s As an isolated country mostly closed to the outside world we assumed he was as listened to around the world as in our tiny country. 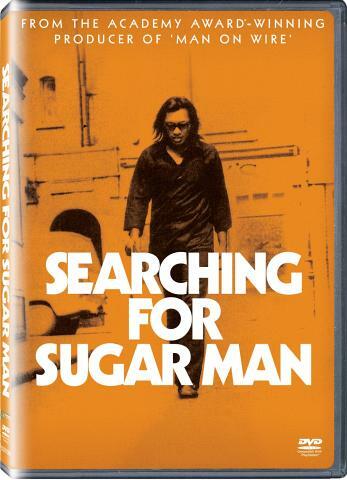 What a stunning documentary “Searching for sugar man” is. Im a South African and knew about him but was never a die hard fan (only 21). However in February I got to see him live and from then on I’ve been hooked, Im even listing to him well I write this! What got me was when I left I felt like I knew less about him. He is so damn mysterious and I just had to google him to see how he looks like (I wasn’t that far from the stage either). Rodriguez is a black hole, a void. He goes and does as he wants and I think thats scary for a marketer but in the end gold is gold, even when its in the ground. We saw the movie last night in Paris. It is a magnificent and moving story. We are so pleased Rodriquez is getting the recognition he deserves. I think that Rodriguez is an intriguing subject for a marketing case study. Firstly, his initial lack of success, then his success in Australia (radio airplay), then his success in South Africa, mainly word of mouth. Amazing that his loyal SA fans managed to track him down via the internet in 1998, and his wonderful tour here with Big Sky. Then the success of the movie at the Sundance Festival, then the movie premiers, which Rodriguez helped to promote. The movie and Rodriguez live performances cross promoted each other. Now there are many videos of him on Youtube, and also photos on the internet. He has a fantastic website and facebook page. At 71 he is now an international star. This all makes for a great deal of discussion and debate – fascinating. Just saw Rodriguez at Barclay Center and Radio City Hall….love the man, who he is, what he represents….a legend, though ordinary Rodriguez likes to tell us, remember him as an ordinary legend. Why aren’t they playing him on the radio? Everyone call in and ask for Rodriguez! His love and kindness, and taking nothing from anyone (but love) is the gentleness we all need. Thank you Rodriguez. Love You!